Furnace & Duct Cleaning Calgary | ADVANPRO Ltd.
We are your furnace and duct cleaning experts! Do you want to ensure the cleanest, safest indoor environment for your family or business? If so, you need a professional furnace and duct cleaning performed by your Calgary furnace cleaning specialists! We are furnace cleaning professionals based in Calgary who have been providing furnace repairs, furnace maintenance, vent cleaning, and furnace duct cleaning services for years. Measure & Record: Amperage, Voltage& Resistance of all Motors & Electrical Components. WHY SHOULD I HAVE MY FURNACE AND DUCTS CLEANED? Here in Calgary, our homes are often shuttered up for months during the long, cold Canadian winter. Your ducts bring fresh air into your home, meaning if they’re clogged, you’re not getting enough fresh air. Clean ducts and a clean furnace will substantially improve the quality of air that you and your family are breathing day and night. A clean furnace and ductwork will dramatically improve the workability and efficiency of your heating and cooling system. Air will flow more easily because the furnace won’t have to work as hard to pull it in or to move it around. And a more efficient furnace means lower energy bills, which saves you money. Dirty air ducts recycle dust, debris, and air pollutants throughout your home. You will dust and wipe your surfaces, only to find they’re dirty all over again just a couple of days later because everything you dusted away just got pulled back in and blown back out. Cleaning your ducts and filters will solve this problem! WHAT SHOULD I EXPECT DURING MY SERVICE APPOINTMENT WITH ADVANPRO? A visit from professional, uniformed, friendly, and highly-trained technicians in a clean, clearly-labeled vehicle containing state of the art furnace and duct cleaning equipment. 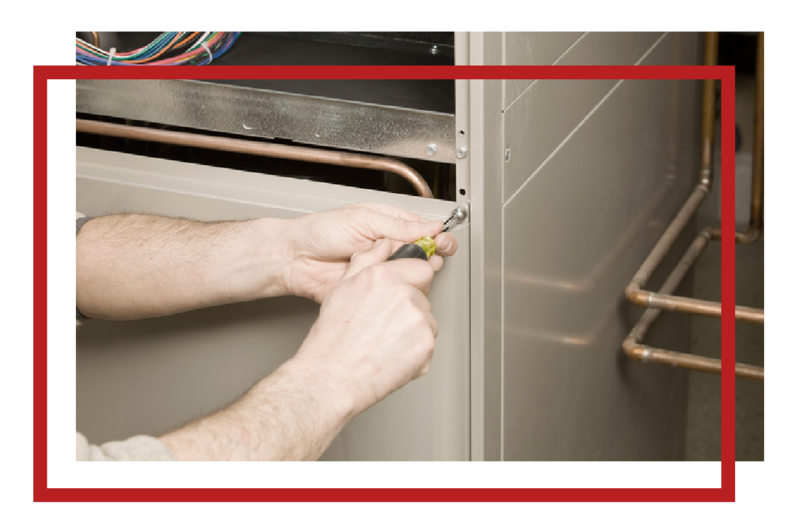 Our professional team aims to provide you with efficient, professional, thorough, and comprehensive furnace cleaning and maintenance services, and to keep you a customer for life. What services do we provide? Read on for a list of our services. HOW OFTEN SHOULD MY RESIDENTIAL HVAC SYSTEMS BE CLEANED? In order for your HVAC system to run at its peak performance we suggest to do annual cleanings. HOW OFTEN SHOULD I REPLACE MY FURNACE'S AIR FILTER? We recommend replacing your furnace’s air filter on a regular basis to ensure the cleanest air quality in your home or business. WILL CLEANING OUR FURNACE REDUCE OUR HEATING BILLS? Furnace cleaning may allow systems to run more efficiently by removing debris from sensitive mechanical components. Clean, efficient systems are less likely to break down, have a longer life span, and generally operate more effectively than dirty systems. WHAT HAPPENS WHEN MY FURNACE AND DUCTS AREN'T CLEANED? Pollutants are in the air all around us. Just look at any surface in your house that isn’t used frequently, and you can see the dust that has accumulated. Where does the dust come from? The chief culprits are people (dead skin and whatever we track into the house) and pets (hair and dust and dirt tracked in from outside). Environmental factors also play a role (pollen, dust, dirt). But dust, dirt, debris, and airborne particles don’t just fall on surfaces; they accumulate and build up in your ductwork, furnace filtration system, furnace fan, and in any component that is integral to moving, heating, or cooling your air. With time, these buildups can interfere with the functioning of your heating and cooling systems, either by obstructing or blocking fresh air intakes and filters, gathering in your air vents and ductwork, or jamming the moving parts in your furnace. The furnace will cycle dust and other airborne pollutants throughout your house. Your furnace has to work harder to cycle air through blocked ducts, putting strain on your furnace, causing temperature imbalances in different areas of your home, and leading to higher energy costs. But these aren’t the worst of the ill effects. All those pollutants building up in your ductwork? You’re breathing all of that in. That’s bad even for a healthy adult, but especially for those individuals who are considered at a “higher risk” for infection or pulmonary conditions, including the elderly, very young children, and individuals with allergies, asthma, or chronic pulmonary disease (CPD). We offer comprehensive furnace and duct cleaning services to commercial building and facilities. We have the knowledge, experience, skill, and equipment to handle even the most complex jobs no matter what the nature of your business. We can handle jobs of all sizes; whether you work in a one-story building or a giant skyscraper, don’t think your job is too big or too small for us! While you can always depend on our certified technicians to come quickly in the event of an emergency, it is our experience that regular maintenance is especially important for our commercial clients. HVAC problems tend to come at the most inconvenient times. An unexpected HVAC/furnace outage is not only a massive headache but also a business risk: if your furnace goes out in winter, you will likely have to close your doors to customers until your heating system is back up and running. You can solve this problem before it occurs with routine maintenance and service. By ensuring that your system is regularly checked for inefficiencies, damage, or other potential problems, you can prevent future breakdowns that could lead to expensive repairs. We provide comprehensive maintenance services to all customers (residential and commercial) because we want to help you protect your property from unnecessary outages and repairs. We also have years of experience working with property management teams of commercial, residential facilities, ensuring that condominiums and apartments are properly maintained. Regular maintenance is by far the fastest, easiest, and cheapest way to protect your business, and we offer competitive prices to all our commercial clients.